Monogram Interior Design is founded on the principal that every project, like every client, is unique and personal. Your home should be a reflection of who you are, how you want to live, and not what some design show says is "popular" or "trendy". Working with my clients to create a calming sanctuary...Timeless, Classic style, personalized to your needs and tastes. New begining in 2018...Monogram Interior Design has expanded to add full service Residential Remodeling Services through Monogram Builders LLC. Stefanie, and her Husband, Eric are now a great team to handle all of your remodeling and updating needs. Your Local Building and Remodeling Company… since 2003. At Cornerstone Builders, it is our mission to transform your space to reflect your vision and your lifestyle. Located in Beaverton, Oregon, we work extensively throughout the greater Portland area as well as on the Oregon Coast. - Specializing in: Kitchen & Bath Remodels, Guest Houses, Vacation Homes, Home Additions, Aging in Place in Beaverton, Oregon. At Cornerstone Builders, we’re in the business of making your home dreams come true, whether it means building from scratch or transforming your current space to fit your lifestyle. Family owned home remodeling service. Serving Portland and surrounding areas. Trust and integrity for 30+ years. Quality craftsmanship - detail oriented. Custom cabinets - Custom designs. Parsons Remodeling was established decades ago on strong core values. Our commitment to these core values remains an integral part of how we define success. We provide our clients both superior craftsmanship and peace of mind, and our long list of client references are happy to share their stories of satisfaction with you. Clear communication and proven process are two ingredients that ensure a successful working relationship. Our process ensures that a strong working relationship is built with each client, which allows us to deliver both an experience and finished product that exceeds our clients’ expectations. Learn more about our proven process. 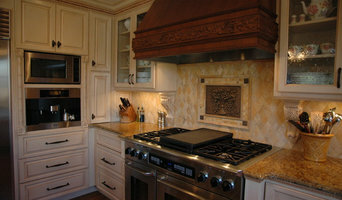 Artistic Kitchen and Bath specializes in design and remodeling of kitchens and bathrooms. We have been in business since 2007. 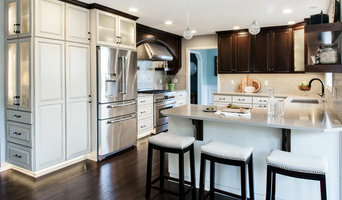 We provide many types of services including cabinets, countertops, flooring, plumbing, electrical, etc. We are a full-service remodeling company. Whether you are looking to remodel your kitchen or your bathroom, we have specific designers who specialize in those spaces to work directly with you to create the kitchen or bath of your dreams. We are residential remodeling specialists who specialize in moderate to high end kitchen and bathroom remodels in the Portland area. Our team has over 30 years experience in the remodeling industry. From permitting to job completion we take care of all the details. We take great pride in making our customers dreams a reality within their budget. Schulz Design Consulting believes great living comes from loving the space you live and work in. Good design can be easy and attainable if you work with a collaborative team of professionals that hear you. Your project will reflect the unique flavor of the people that live or work in the space. Most importantly, at SDC we value our clients time and budget. We would love to make your next project a reality. At SDC we are experts in kitchens and baths. Whether you are looking for a new look or a space that functions better, we can help. We are seeing a big rise in "Aging in Place" designs. What is Aging in Place? It is designing spaces that allow you to stay in your home without the daily tasks you need being a hindrance. We take careful consideration in your quality of life and independent living for years to come. 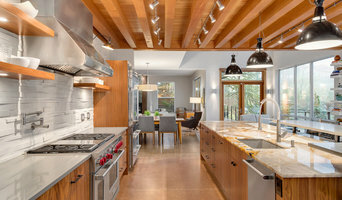 T.H.E Remodel Group is a full-service design-build firm located in the Portland, OR area striving to build not only beautiful homes but everlasting relationships with our clients. Providing the area with 10+ years of service has given us the expertise to do a variety of different projects. From basements converted to living spaces to expanding the square footage of an already existing space – T.H.E. Remodel Group has done it all. We are always hard at work behind the scenes. From the first initial phone call & consultation to the completion of the project we want you to feel like a part of the process. As you share your wants and needs with us, we carefully listen – along with our design team we take those ideas with your budget in mind and show you what your dream could look like. Once the design has been chosen, we kick in to gear all the parts and pieces that will make up your project. We give you a timeline and do our absolute best to accomplish the work, we refuse to cut corners or sacrifice quality. This includes cleaning up every day on the job site to limit the amount of disruption to your home. Our team takes great pride in our work and we are never satisfied until every detail is accomplished and there is a smile on your face. Our team has the skill and capability to take these projects from start to finish effortlessly. There is a passion to create within us all and that is why we love sharing what we can do with our clients. We want these spaces to be enjoyed by friends and family for years. Looking for a creative, new approach to bring new life into your home? I can make it easy for you. I have the vision and the talent -- you tell me what you want and your budget and I will come up with ideas. You pick and choose. Together we create the WOW factor in your home. I do this in person and online. I listen to your needs. I shop for you. I design the room. I place your purchases or you do it yourself. Or I provide you with links to buy whatever you like from my ideas and you follow through. Either way, let's keep it simple. I offer various packages and services based upon what works for you. Let's communicate online (or in person) and come up with a plan! Let me tell you a little about myself (and I invite you to do the same). My career began as an independent Interior Designer in l996, after receiving degrees in Architecture and Urban Planning and a certificate in Interior Design. I co-founded Redu Interior design, a successful business for 15 years, offering in-home consultations and all interior design services. Now I offer E-design that invites clients from around the world who want what I can do for them, creating the perfect space in their home or office with personalized attention. My favorite colors. Orange & Cyan My favorite places to spot new style ideas. Traveling. How I start my day. With a cup of Brazilian coffee! What I can't resist. Desserts! How I keep from being overwhelmed. Been Organized. My favorite websites for design inspiration. Houzz. Personal information. I am a wife and mother of a son who loves playing soccer & basketball. You can learn more about me on my website: Duinteriors.com. Even if you're the kind of person who makes everything a DIY project, there's always a point when a home remodeling or decorating project could use a professional set of eyes. Whether you are redoing your backyard, need some help planning your living room or can't figure out where to put the kitchen sink, a quality home professional in Tigard, OR can help you do it right. Hiring a qualified Tigard, OR home professional puts their years of schooling, certifications, training and experience right at your fingertips. But before you start sending out dozens of emails and making phone calls, sit down and think about your project. What's your budget? What is the scope of your project? 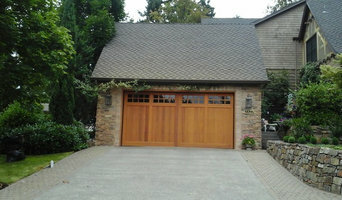 Will you need more than one type of professional to complete your home improvement project in Tigard, OR? Can you afford to complete the full project now, or should you tackle it bit by bit? Once you've settled on your project’s priorities, budget and scope, it's time to start researching Tigard, OR home design professionals. Don't sell yourself short and settle on the first professional you set your sights on. Make sure that you're working with someone local, who can get to the jobsite easily and efficiently. Look into the person’s reviews, ask to speak with former clients and to see previous jobs in person. Take a good look at their portfolio photos: How similar are these projects to your own? Be honest — that mansion might look beautiful, but it might not have a lot in common with your little bungalow. Reach out to multiple professionals — especially for larger projects — and don't settle for the first bid you hear. Comparing multiple Tigard, OR professionals' bids and experiences can help you find the one that’s best for you. Ask a lot of questions now, so you won't have unexpected answers later. Find a home design professional on Houzz. Narrow down your search by type of professional and location. Browse Tigard, OR portfolio photos, read client reviews and contact each Tigard, OR professional for more information. Check out the information in the specialized professional sections too for tips on how to hire the right professional for your project.